Prince of Persia: Escape is a mobile version of the classic game. This time developer Ketchapp has simplified things but it still retains a lot of the elements that make the original a blast to play. A quick look at Escape will show that it takes a modern approach to the game, and it’s a good one. This is a mobile runner platformer, so if you’ve played 2D sidescrollers before you know the drill. 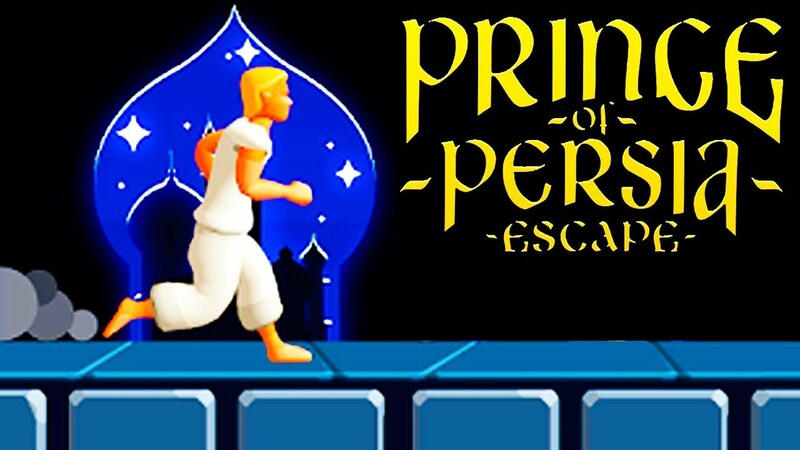 the prince runs automatically so you only control his jumps, a quick tap for short jumps and a long press for long leaps. The graphics are somewhat streamlined but is in line with other casual games that Ketchapp has churned out. The controls are responsive so you can time your jumps well. The early levels are quite easy and you should have no problems getting through the obstacles. The latter levels are harder but they’re pretty short so you can get through if you play the game long enough. Aside from the short and long jumps you’ll need to scale walls, which isn’t an issue either. Jumping from platforms becomes more difficult as traps and spikes abound, so you need to be quick on your feet. Prince of Persia: Escape cannot be compared to the more complex versions of the game on other platforms, but it’s still worth playing. If you love the original and want to experience it again without going too involved, this is what you’re looking for. Even for a newbie the game is easy to pick up.